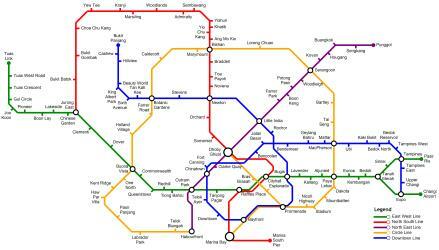 What is the cheapest way to get from Chinatown MRT Station to Yew Tee MRT Station? 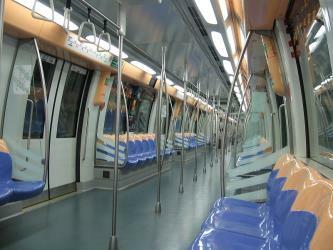 The cheapest way to get from Chinatown MRT Station to Yew Tee MRT Station is to subway which costs $1 - $3 and takes 39m. 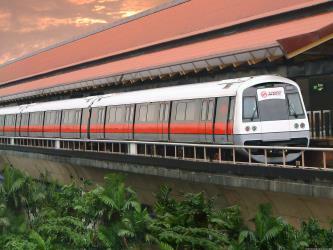 What is the fastest way to get from Chinatown MRT Station to Yew Tee MRT Station? 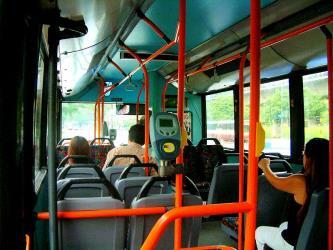 The quickest way to get from Chinatown MRT Station to Yew Tee MRT Station is to taxi which costs $20 - $24 and takes 18m. 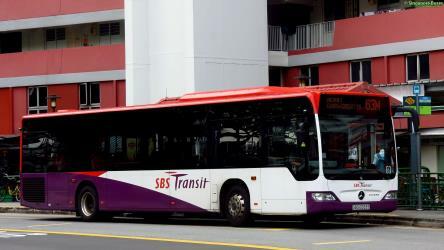 Is there a direct bus between Chinatown MRT Station and Yew Tee MRT Station? 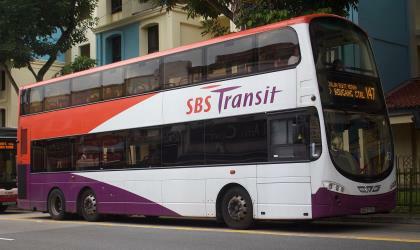 Yes, there is a direct bus departing from People's Pk Ctr and arriving at Choa Chu Kang Int. Services depart every five minutes, and operate every day. The journey takes approximately 47m. How far is it from Chinatown MRT Station to Yew Tee MRT Station? The distance between Chinatown MRT Station and Yew Tee MRT Station is 16 km. The road distance is 21.1 km. How do I travel from Chinatown MRT Station to Yew Tee MRT Station without a car? The best way to get from Chinatown MRT Station to Yew Tee MRT Station without a car is to subway which takes 39m and costs $1 - $3. How long does it take to get from Chinatown MRT Station to Yew Tee MRT Station? It takes approximately 39m to get from Chinatown MRT Station to Yew Tee MRT Station, including transfers. Where do I catch the Chinatown MRT Station to Yew Tee MRT Station bus from? Chinatown MRT Station to Yew Tee MRT Station bus services, operated by SMRT, depart from People's Pk Ctr station. 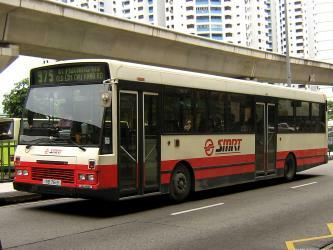 Where does the Chinatown MRT Station to Yew Tee MRT Station bus arrive? 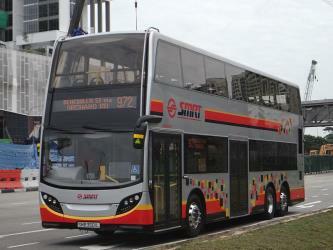 Chinatown MRT Station to Yew Tee MRT Station bus services, operated by SMRT, arrive at Choa Chu Kang Int station. Can I drive from Chinatown MRT Station to Yew Tee MRT Station? Yes, the driving distance between Chinatown MRT Station to Yew Tee MRT Station is 21 km. It takes approximately 18m to drive from Chinatown MRT Station to Yew Tee MRT Station. Where can I stay near Yew Tee MRT Station? 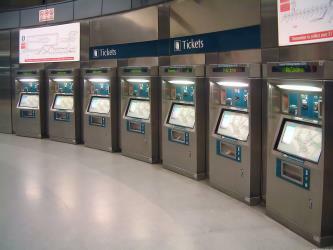 There are 2109+ hotels available in Yew Tee MRT Station. Prices start at $45 SGD per night. What companies run services between Chinatown MRT Station, Singapore and Yew Tee MRT Station, South West Community Development Council, Singapore? 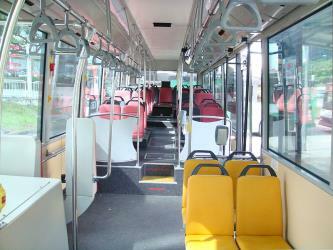 SMRT operates a bus from Chinatown MRT Station to Yew Tee MRT Station every 5 minutes. Tickets cost $1 - $3 and the journey takes 47m. Rome2rio's Travel Guide series provide vital information for the global traveller. Read our range of informative guides on popular transport routes and companies - including Best ways to travel around Australia, Bali: What to do if Mount Agung erupts and How to get from JFK to New York City - to help you get the most out of your next trip. The Sungei Buloh Wetland Reserve (Chinese: 双溪布洛湿地保护区) is a nature reserve in the northwest area of Singapore. It is the first wetlands reserve to be gazetted in Singapore (2002), and its global importance as a stop-over point for migratory birds was recognised by the inclusion of the reserve into the East Asian Australasian Shorebird Site Network. The reserve, with an area of 130 hectares, was listed as an ASEAN Heritage Park in 2003. 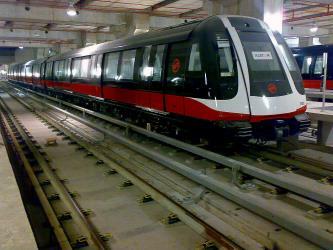 Rome2rio makes travelling from Chinatown MRT Station to Yew Tee MRT Station easy. Rome2rio is a door-to-door travel information and booking engine, helping you get to and from any location in the world. Find all the transport options for your trip from Chinatown MRT Station to Yew Tee MRT Station right here. Rome2rio displays up to date schedules, route maps, journey times and estimated fares from relevant transport operators, ensuring you can make an informed decision about which option will suit you best. Rome2rio also offers online bookings for selected operators, making reservations easy and straightforward.